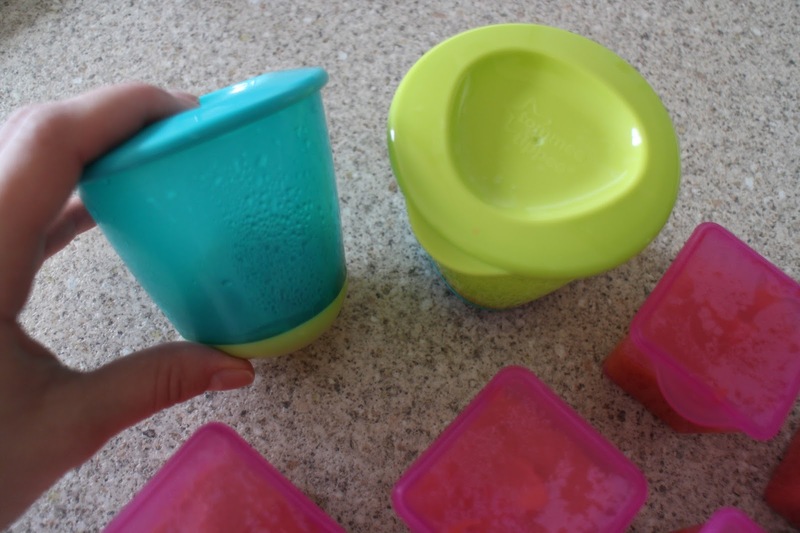 Weaning is one of my favourite stages, I loved it with both my babies as I love cooking up great healthy food for my whole family. 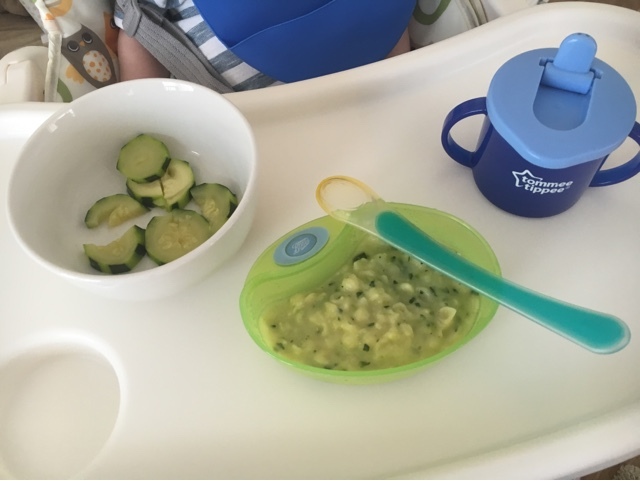 This time I thought I would dedicate a post to our weaning journey so far with baby number two and it has been brilliant. I decided to do what I did with my daughter and do both Baby Led Weaning and Spoon Feeding and both have been very successful. We started weaning just after my son hit 5 months which was the age we started combination feeding because his reflux got worse and he was losing weight from exclusively breastfeeding, this was heartbreaking for me to have to do, but the most important thing was his health so we started introducing the Aptamil Anti-Reflux formula and I am so thankful we did because it helped instantly, the projectile vomiting stopped and his weight was back on track after only few weeks. 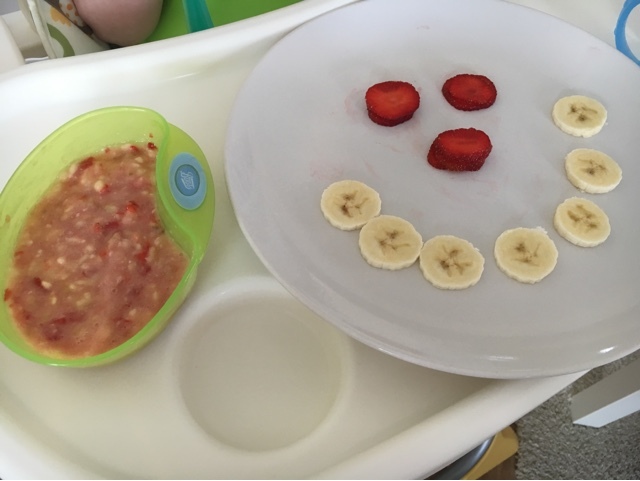 So while combinations feeding we introduced baby rice for couple of weeks and then started on the homemade fruit and vegetables purees.. its true when they say you know when your baby is ready for weaning, mothers instinct! Luca is nearly 7 months old and he now enjoys a variety of fruit and veg combinations as well as meat which started off as puree now we are on small lumps as well as self feeding. Just like his Mummy and Sister he loves a large variety of food and has not turned away from anything (very lucky)! And thats it, thats our little routine everyday, times vary and sometime we don’t have the 4oz feed mid morning, with babies everyday is always a different day from the one before. The next stage (when Luca shows me his ready) will be reducing the milk feeds and increasing the food, eating little and often throughout the day, every baby is different so we are just going with the flow. 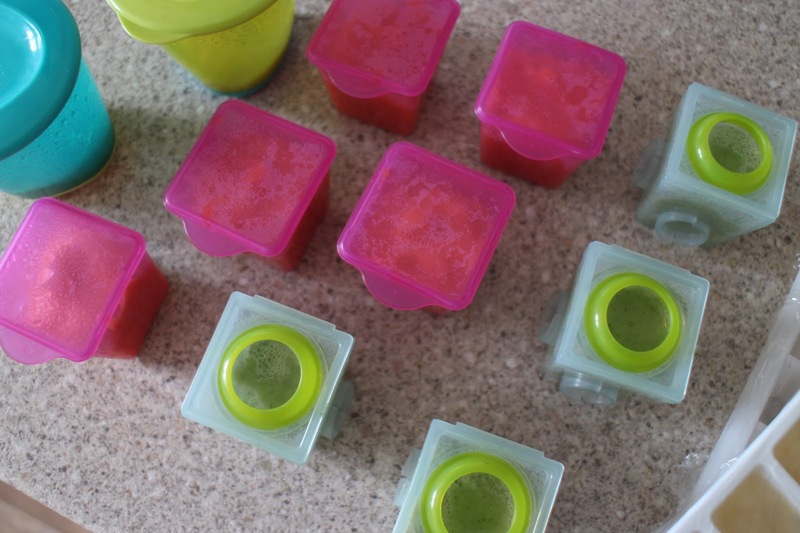 Here is a few snaps of little mans food prepping and what his meals look like. 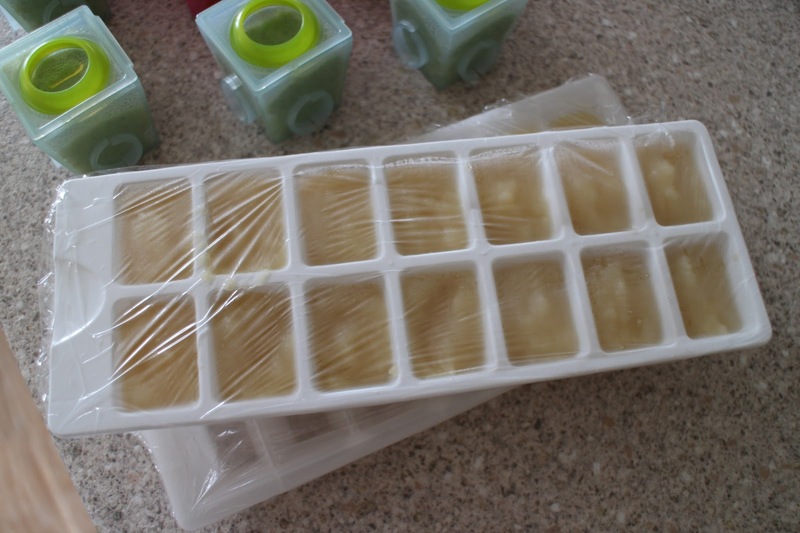 I love cooking up his bits in batches and popping them in the freezer for convenience. 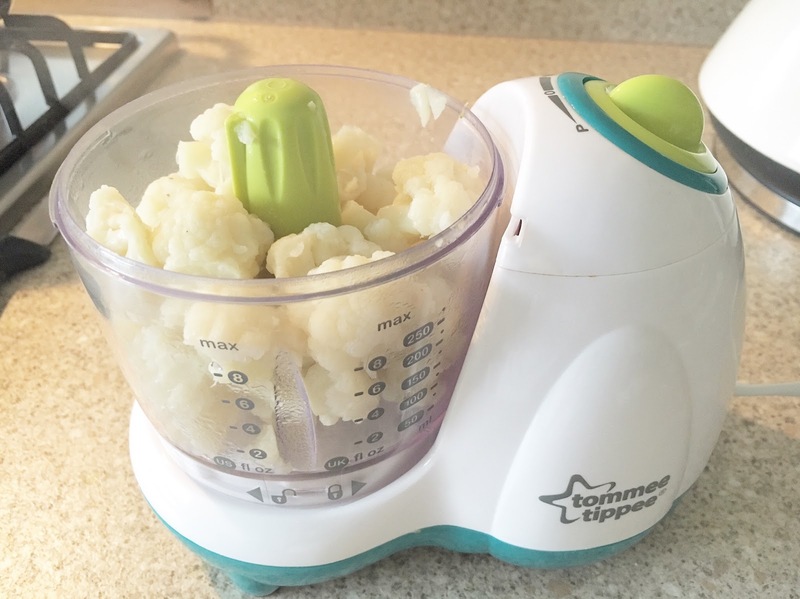 I use the Tommee Tippee food blender and you can buy different types of food pots safe for storing in the freezers or you can use ice cube trays (this is a good idea at the beginning for single fruit and veg purees and you can take a couple from each to mix things up a bit). 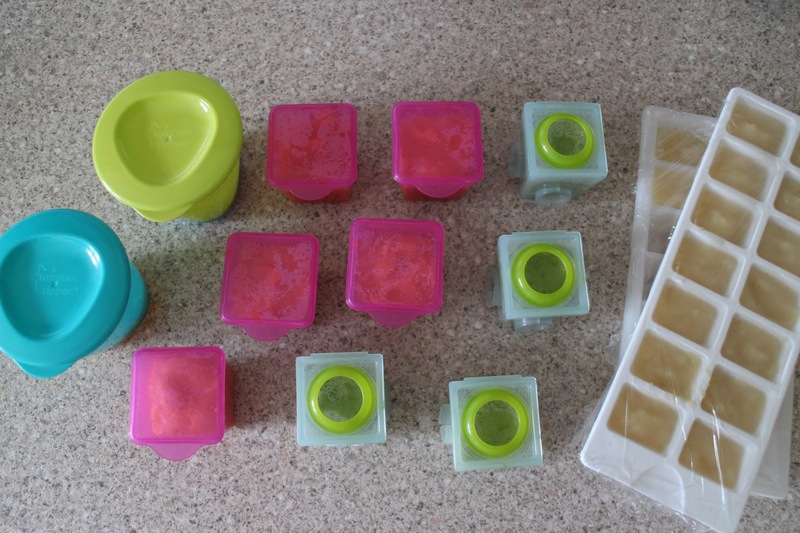 Boots also sell baby stock cubes, vegetables stock, chicken & beefs ones too, perfect for making up mixed dished like bolognese, casseroles etc. 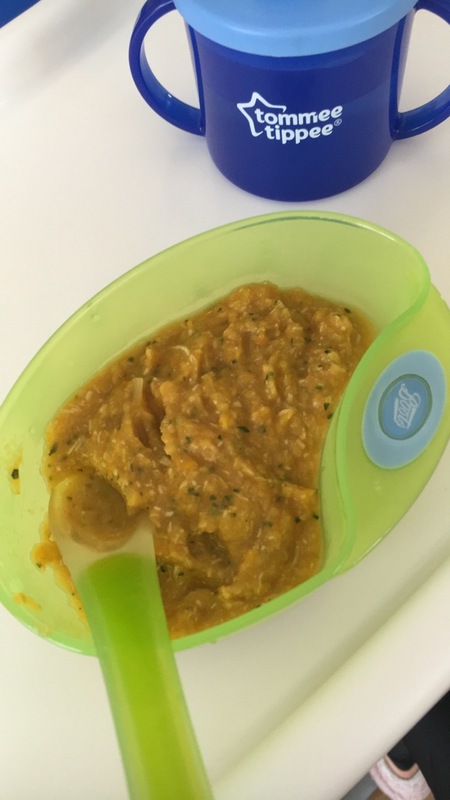 How are you finding your baby weaning journey? What are your babies favourite foods?